The “1-1.4” ID may be different for your configuration. If, and only if, you are absolutely sure that your USB hub and/or hardware configuration have a safe way to actually supply enough power, you can override this barrier and force the device to be activated despite of the error message. A possible situation is where you manually applied 5V external power on your USB device and/or USB hub, like I did on my Bifferboard. Replace “1-1.4” with your USB device ID. Be careful and have fun! Error insufficient available bus power RT2573. Categories: Bifferboard, Hardware, Linux | Tags: Linux, usb, usb external power | Permalink. I don’t know if it’s Java or the Super Micro IPMI developers to blame, or both. One thing is for sure – I rarely need it, but almost each time I want to use the server-critical “Console Redirection” feature on our Super Micro servers, there is some problem with the Java applet. 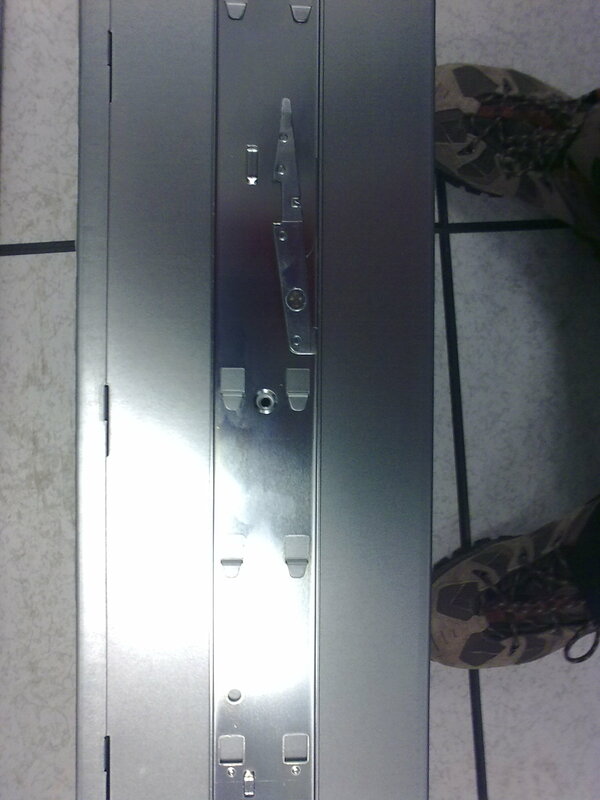 Thus I’m not able to access the remote console of the server quickly, which in turn gets me real headache. some not-so-bleeding-edge Linux machines, in order to have a “stable” Java installation there. Though the Java failed on them today as well, as they are running Debian “lenny”, which seems to be having the latest Java version 1.6.20 too. Well… sorry Java applets + Super Micro IPMI, you really disappoint me! Uninstalling the Java 1.6.20 JRE update. Installing the Java 1.6.19 JRE update which I downloaded from the “Archive: Java[tm] Technology Products Download” page. Being able to get this working only with Chrome. Firefox and IE 8 failed to work. Update #2: Linux doesn’t seem to be having any problems. Firefox 3.6.3 on Ubuntu and Gentoo with Sun Java 1.6.20 works fine. Update #3: If you upgrade the IPMI firmware to version 2.02, the Windows problem is fixed. Unable to launch ATEN Java iKVM Viewer. Wrapped Exception: java.io.IOException: HTTP response 404. At the same time, the Java test page works fine. The version on the Debian “lenny” “sun-java6-jre” package is “6-20-01lenny1” (Java JRE 1.6.20). Windows 7, running Java 1.6.20, under IE 8, Firefox 3.6.3 and Chrome 5.0.375.99. Kubuntu Lucid, running OpenJDK 6 build b18, under Firefox 3.6.3. Anyway, I try not to write articles with negative attitude, but this time I just couldn’t resist. Categories: Hardware, Linux | Tags: ATEN Java iKVM Viewer, IPMI Console Redirection, Super Micro IPMI BMC X8DTL | Permalink. Very often I hear the statement – don’t leave your phone registered to the UMTS (3G) or GPRS (2G) network, as this will decrease its battery life and you’ll need to charge it more often. Today I decided to bust this myth and also to compare if UMTS (3G) uses more battery power than the slower GPRS (2G) transfer standard. 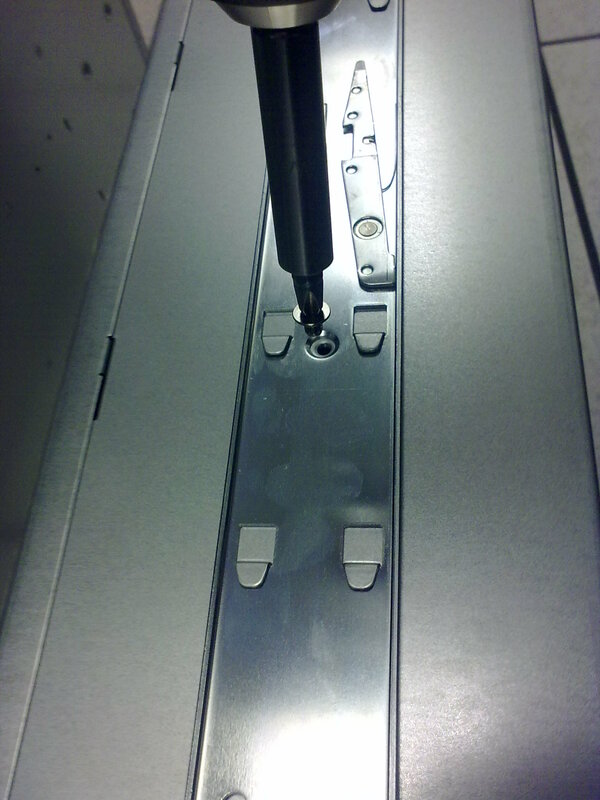 The following was tested with a Nokia 5800 XpressMusic via a Bluetooth connection to a computer. 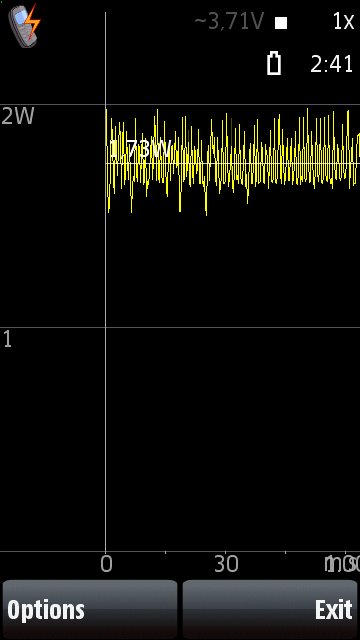 The Bluetooth connection itself uses some power but my measurements show that its usage is about 0.15W, so we will consider it negligible for our benchmarks. The power usage was measured using Nokia Energy Profiler. 0.40W – no connections at all. 0.40W – no Bluetooth connection, just registered to 2G or 3G network. 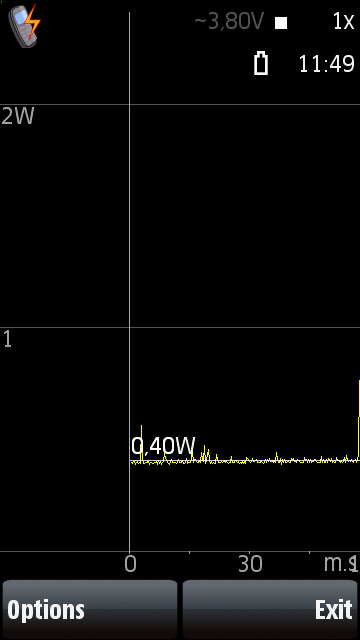 0.52W – Bluetooth and 2G or 3G connections established, but connections are idle. 1.27W – 8 Kbytes/s (64 kbps) download via 2G. 1.69W – 65 Kbytes/s (520 kbps) download via 3G. 1.73W – 120 Kbytes/s (960 kbps) download via 3G directly from mobile phone, no Bluetooth. 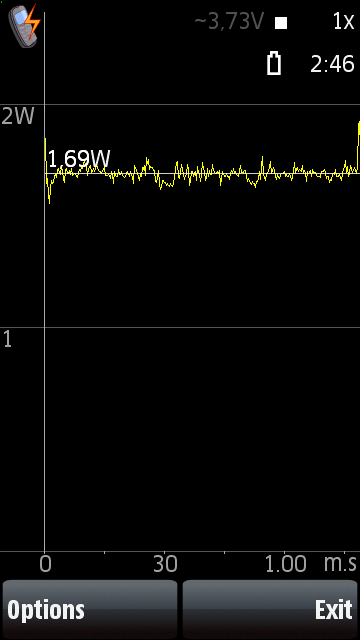 If we add the Bluetooth power usage, this would sum to up to 1.90W. The myth is busted: Leaving your phone registered to the 2G or 3G network shouldn’t drain up your battery faster, if you make no traffic to the 2G or 3G network. Conclusion: You should use 3G if you are about to make data transfers and probably it is better to turn it off after that. Nokia 5800 has an option to enable the 2G/3G data connection only when data is about to be transferred, and this is what I currently use as settings. Let’s analyze if 2G or 3G uses more power if you start making data transfers. First impression is that 3G uses more power. However its transfer speed is much greater, so the overall Watts usage for the same downloaded size will be smaller, which makes 3G more efficient and thus less power consuming in practice. 2G: 1000 Kbytes at download speed 8 Kbytes/s will take 125 seconds. 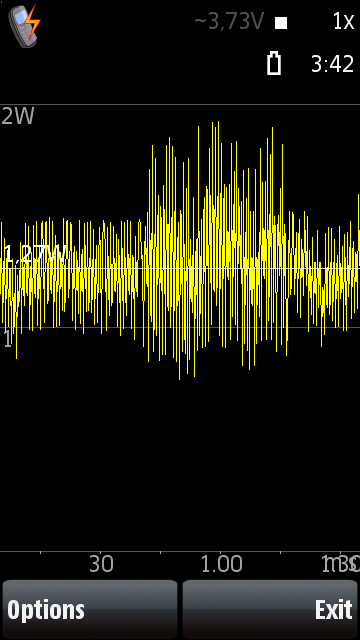 At the power usage of 1.27W this will take about 159 Watts-seconds (125 seconds * 1.27 Watts). 3G: 1000 Kbytes at download speed 65 Kbytes/s will take 15 seconds. At the power usage of 1.69W this will take 26 Watts-seconds (15 seconds * 1.69 Watts). Therefore, using 3G the consumption has decreased to 16.3%! Yes, in this case 3G would use six times less energy from the phone battery, if we downloaded the same amount of data using 2G, at maximum speeds. One interesting power usage pattern by 3G is that when you stop the data transfer, the power usage doesn’t drop immediately to the full idle state. 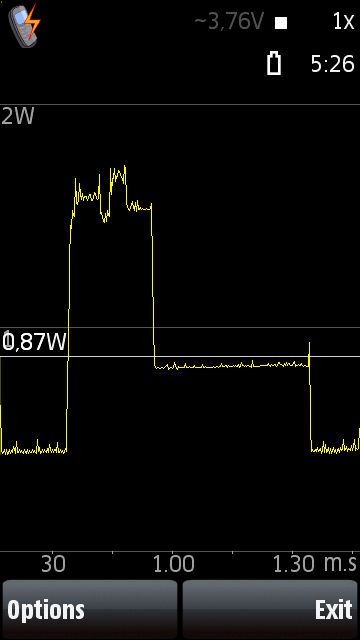 Instead, about 0.80W is drained for about 30 seconds, and then the connection is put in total idle state. Review the power usage images below, in order to get a better idea of what I mean. Even if we add up these 24 Watts-seconds (30 seconds * 0.80 Watts) to the above calculations, 3G would still use 318% less energy. Categories: Hardware | Tags: 2G GPRS battery power usage, 2G vs. 3G, 3G UMTS battery power usage, GPRS vs. UMTS, Nokia 5800, Nokia Energy Profiler | Permalink. A colleague and I tested this on a X8DTL-iF motherboard using the latest IPMI firmware for “IPMI_8DTL”, revision 1.29. My overall opinion about this IPMI software is that it doesn’t cover the stability and functional expectations for a mission-critial management interface. The previous AOC-SIM1U(+) IPMI cards for the Super Micro X7DVL-E motherboard were much, much better and usable. The “Launch Console” button of the “Console Redirection” feature does nothing under Java 1.6.20 on Windows. Resolution: Review the other article about Super Micro IPMI Console + Java. They do not use compression for the video traffic, or it’s very weak!!! For the Debian install menu @4 FPS you need about 13 MBit/s bandwidth for a single KVM console. If you are not on a LAN with the IPMI device, prepare for noticeable lag. If you are administering the IPMI device overseas, you are in trouble… Tested on Linux, Windows and Mac. Partial resolution: In the remote console Java applet, navigate to Options -> Preferences -> Display, and then select “Low Color (Lighter Traffic)”. This makes the traffic noticeably less. This was reported by zImage. The CTRL and/or ALT keys sometimes remain pressed down, even if you haven’t used them. If you are in a Debian installer menu, this will get you quite a lot of trouble. 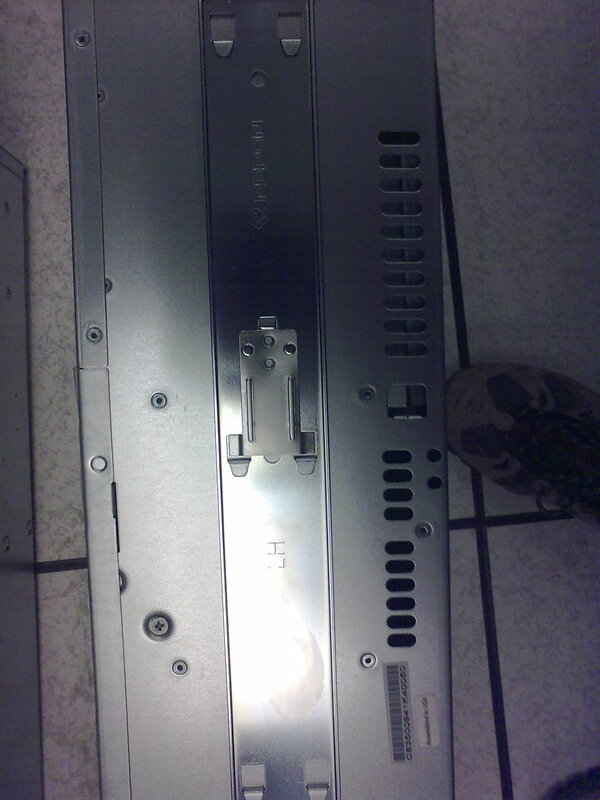 If you are on the LILO console, you may think that the keyboard doesn’t work at all. Resolution: Press CTRL and then ALT shortly on your keyboard. We managed to break the VNC port of the KVM console just by trying to connect to it with a VNC client on port 5900. 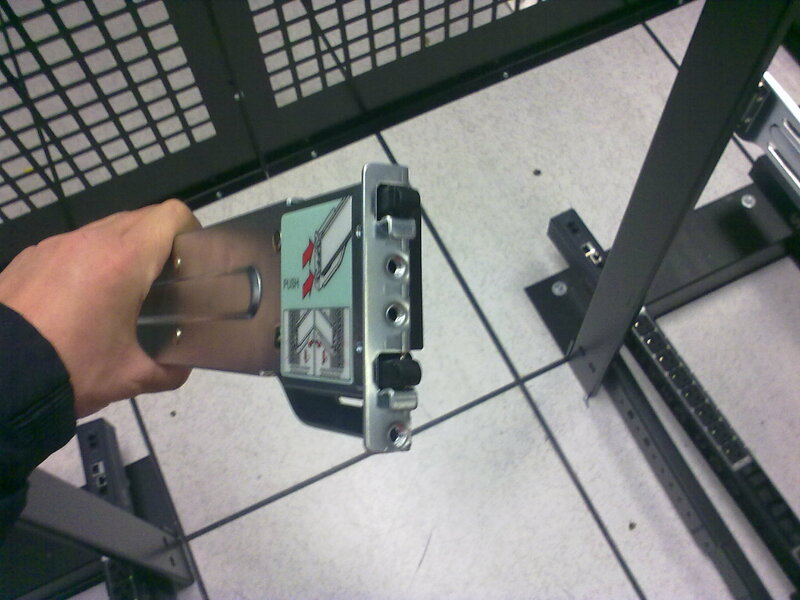 Beware if you are exposing your IPMI device on a public IP address. 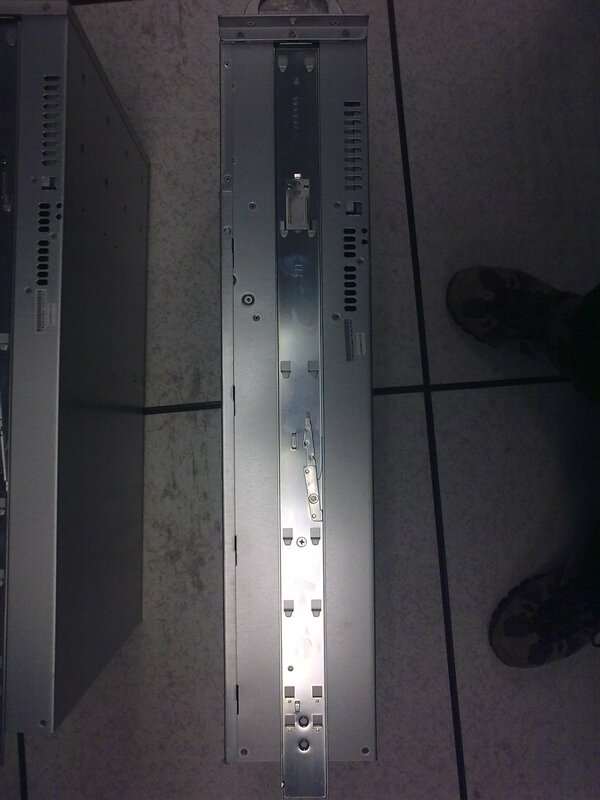 Resolution: Re-power the whole server to fix the IPMI device. Set up ACLs for the network access to your IPMI devices. Update: As Simon commented below, you can reset the IPMI device via the web interface: Maintenance -> Unit Reset. This won’t reboot your server. If you leave the network KVM console opened idle on Windows, it suddenly disconnects. Changing the zoom options for the KVM console renders the screen unusable. Some keys repeat even if you are on a LAN. This happens not very often though. There is a slight lag for the keyboard response, even on a LAN. The web interface is full of AJAX scripts. This makes it unusable on Safari. They are trying to impress System Administrators with AJAX on the mission-critical management interfaces?? Furthermore, the AJAX error-handling is terrible – if there is a connection problem and you initiated some action, the AJAX happily returns “Configuration saved”, and actually nothing gets done… Nevertheless, the web interface works in general. Resolution: You need to click on the “Submit” button or navigate to it via TAB and then press Enter. The firmware update from 1.02 to 1.29 erased the previous IPMI config. The firmware flashing process was done via the web interface of the IPMI card. Resolution: First upgrade firmware, then configure the IPMI IP and other settings. While configuring the IPMI via BIOS with a locally attached keyboard and monitor, there is a noticeable lag while you type. It’s worth mentioning that the ideas they tried to implement are good – they have screen capturing feature and all the other IPMI features we had in the previous releases. Only the implementation is weak. Kubuntu Karmic 32bit, Java 6. Mac OS X Leopard 10.5, Java 5. Windows Vista Home Premium SP1 32bit, Java 6. So in general, this new IPMI software is a big disappointment and makes me very insecure if I can depend on this management device in a critical moment. It does work somehow, but this is not what I expect from a production-ready product. Mar/14: I contacted Super Micro Support at their official email address (support@Supermicro.com) but got no reply. The reason I wrote them was to attract their attention to the reported bugs, and asked them if they want me to not disclose them for a while. Mar/15: I contacted their European Support Team (support@supermicro.nl), as my colleagues advised because they are more responsible. Here is what they replied: “I have forwarded your mail to our software engineer and PM to check it. We will get back to you later“. 2. Fix X8SIT HDD Smart Error string spacing: Disk0 Smart failure (issue# 22816). X8SIU: Set NMI output to low when power fail. 3. Fix the issue iKVM record video and screen capture does not work under MAC OS. 4. Fix the issue preferences cannot be saved in full screen mode under MAC OS. 5. Fix the issue Japanese web is no longer working. 2. Fix the issue iKVM record video and screen capture does not work under MAC OS. 3. Fix the issue preferences cannot be saved in full screen mode under MAC OS. 4. Fix the issue Japanese web is no longer working. 1. Modify H8SGL and H8DGU sensor threshold: +1.1V, CPU DIMM, and Chassis Intrusion (IssueID=21765). Please reset IPMI to 'Factory Default' on Maintenance webpage after flashing firmware. Categories: Hardware | Tags: Super Micro IPMI BMC X8DTL | Permalink. Super Micro chassis rails by Repon rock! I just wanted to share my excitement about the new Super Micro chassis. 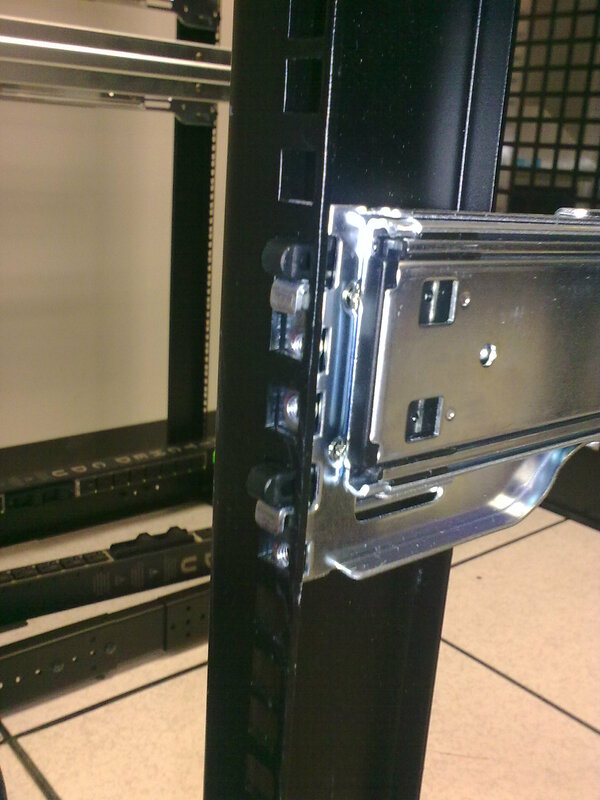 I’m very pleased with how the rails of the SC835 and the SC846 cases are extremely easily mounted. 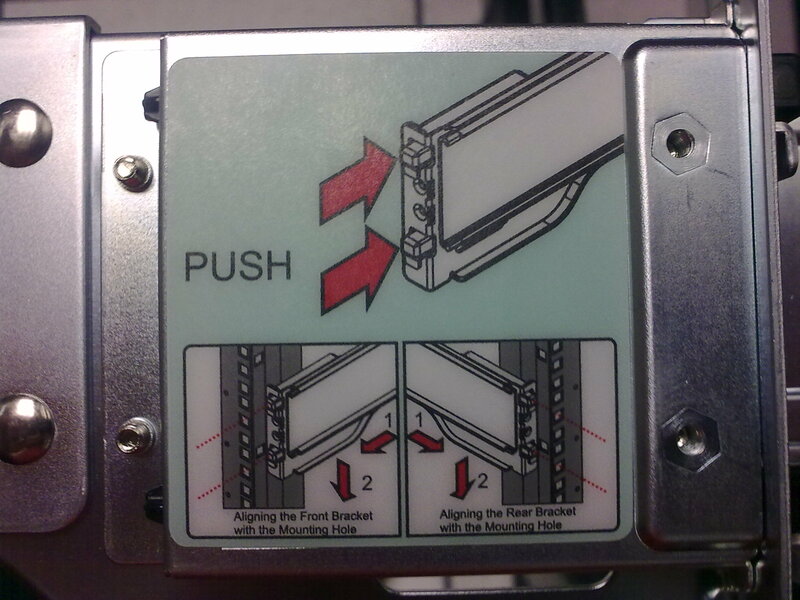 By the way, the rails were made by Repon, at least this is what the logo on the rails says. 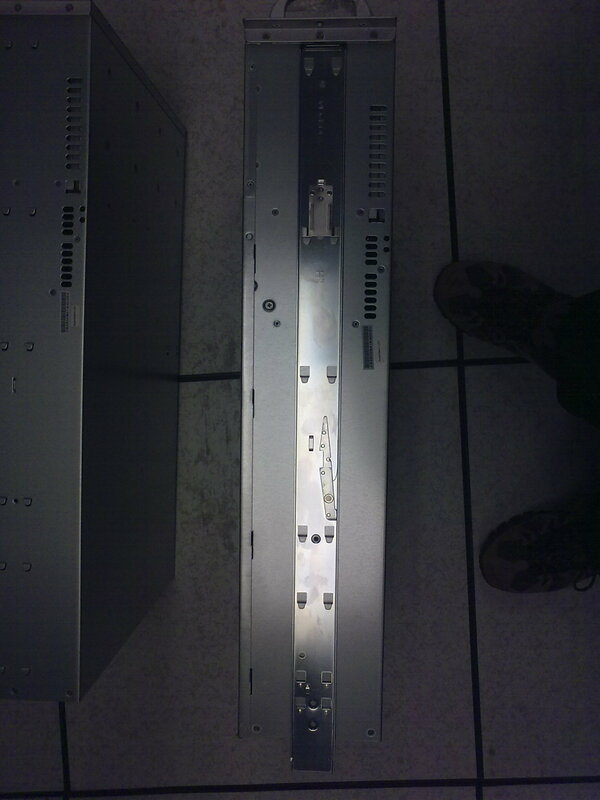 It’s nothing revolutionary, and Dell chassis are having this for a longer time I think, but Super Micro caught up and kept me a very happy customer of theirs. Actually the company I work for is a customer of theirs, I’m just a System Administrator who happens to be installing a whole bunch of new Super Micro servers. 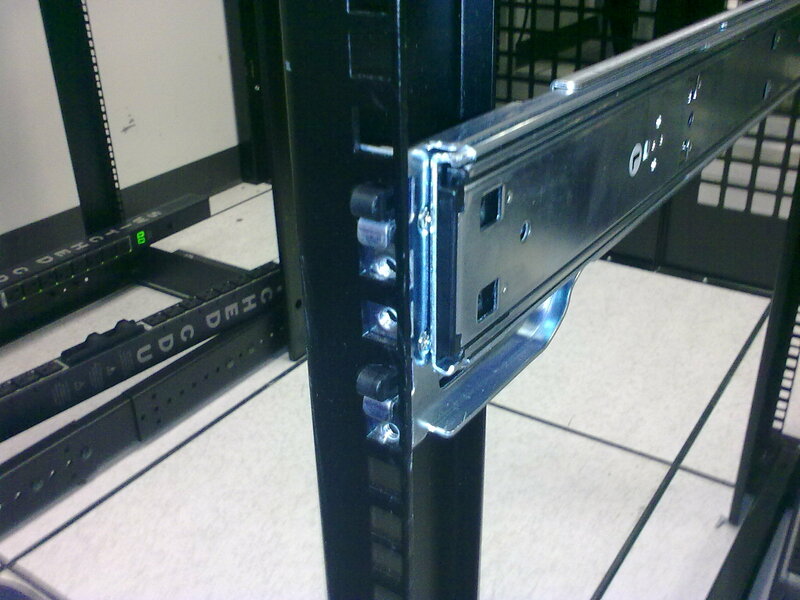 Bottom line is that the new rails mount in the rack without the usage of any tools or rack bolts/nuts. You can mount them with your bare hands. What’s the big deal with this? 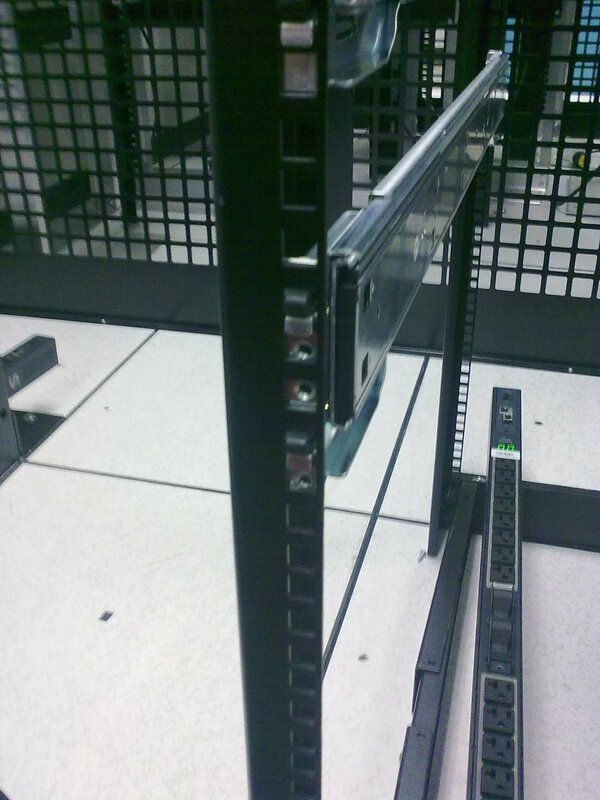 You spend almost no time in mounting the rails. Good work Super Micro, and Repon! The mounting process follows in images. Sorry for the bad photo quality. 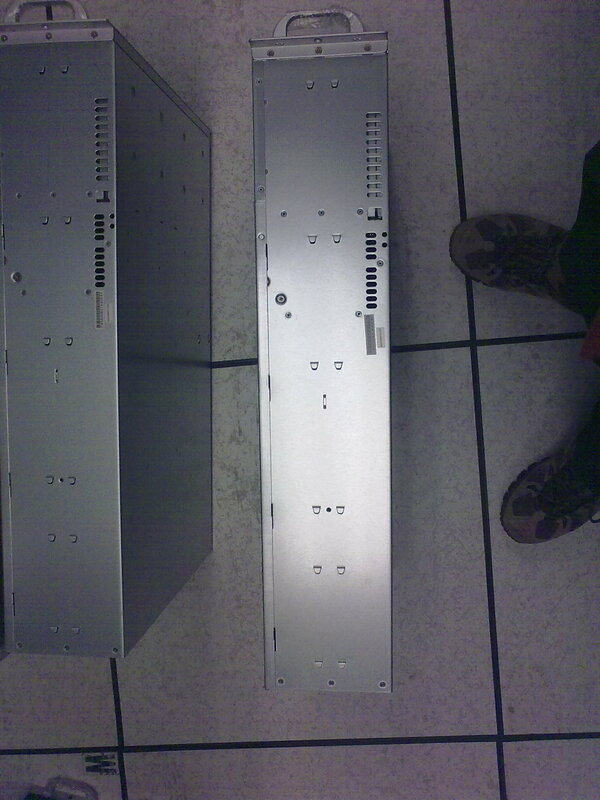 Categories: Hardware | Tags: chassis, Hardware, mount, rack, rails, super micro | Permalink.